Think that's a big number? Think again. The moment of electric car lift-off has arrived with the Model 3 obliterating all previous marks by leaps and bounds. August will be one to remember, that's for sure. And it's not just Model 3 sales that took off for Tesla. By our estimations, Tesla sold an epic 17,800 Model 3s in August. Shocked? Of course, that’s the highest ever for sales of a single plug-in electric car in any month, beating the old mark set by the...Model 3. The Model 3 now stands alone as one atop the sales chart for the year with no other plug-in electric car capable of catching it. The YTD tally so far stands at 55,882. An untouchable figure. The highest volume of sales ever for an electric car in a single year was back in 2014 when LEAF sales hit 30,200. 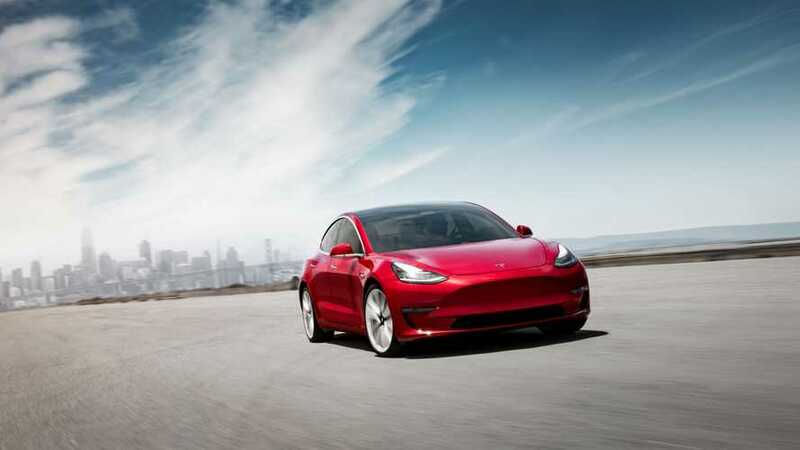 With four months of sales still remaining in 2018, the Model 3 sits at nearly double the LEAF's record. Both of those figures are more than twice as high than in July when our estimates put both cars at a volume of 1,200 for the Model S and 1,325 for the Model X.
Tesla holds a commanding lead in plug-in electric car sales for the year and will not be challenged by any other automaker for the YTD win. Trust us, no automaker can match Tesla for the year, so let's call it right now. Tesla is #1 in U.S. plug-in electric car sales for 2018 and the margin will continue to grow as the year progresses. Perhaps it's time to give Tesla proper props for its plug-in progress.